After 25 years in business we are expanding, and are happy to announce our newest Division of the company - "Certified Pre-Owned Vehicles". As usual, you can always expect a high quality product backed by our reputation. We offer very low mileage, factory warranties, ready to drive anywhere, pre-owned cars and trucks. If you are looking for a new vehicle, give us a call and allow us to help find the vehicle of your choice. To view our inventory please click on the link on the left side of the screen labeled "Pre-Owned Vehicle Sales"
Are you looking to sell your vehicle, we offer consignment car sales also. Since implementing "Free Alignmnet Checks" we have performed literally hundreds of free check-ups. 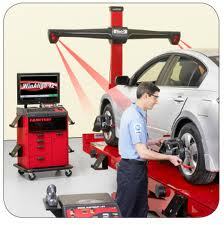 Not every vehicle needs aligning, and we are very happy when we inform clients that no service is necessary. We will perform an alignment check at no charge to you, no hard sell, no gimicks, we will check your alignment and present your vehicles specifications to you. Please contact us for an appointment as soon as you can. Since the beginning Mike and his dedicated family of employees have served thousands of cars, trucks and RV's annually . Customer service and a reputation for honest repairs is a way of life for each and every one of us. Community service is also a very big part of how the company gives back to the community. Please feel free to stop by and say hi, you won't be sorry! Services for all makes of Recreational Vehicles and Trucks now available. Call ahead for an appointment. 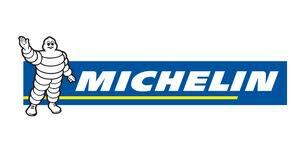 Great prices on all RV/Truck tires from brands you trust like - Michelin, Toyo, Goodyear and many others. copyright © 2019 Highway Tire and Auto. All Rights Reserved.